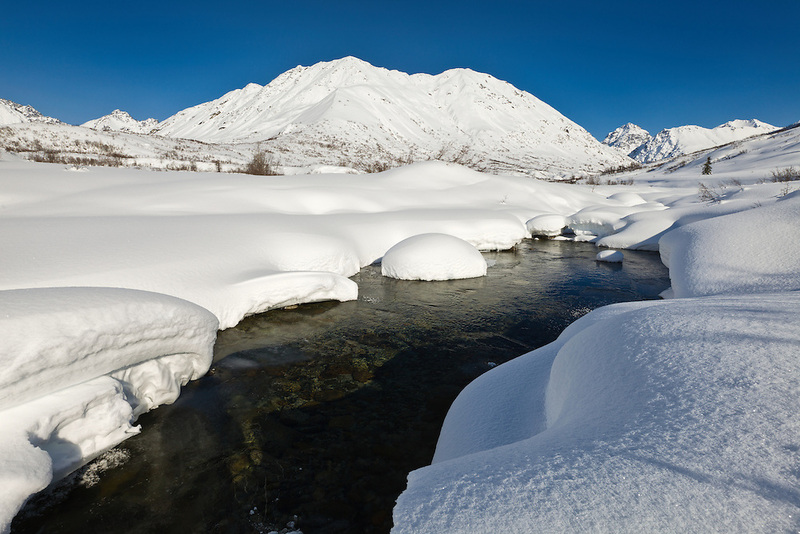 Deep snow lines the banks of the Little Susitna River with Idaho Peak and the Talkeetna Mountains in the background in Hatcher Pass in Southcentral Alaska. Afternoon. Winter.